The new AMD FirePro™ W8100 workstation graphics card packs up to 4.2 TFLOPS of compute power to accelerate your projects beyond just graphics. Handle your ever-growing datasets with ease and at the same time rely on the massive parallel processing power of the GPU to accelerate all your compute-intensive tasks. 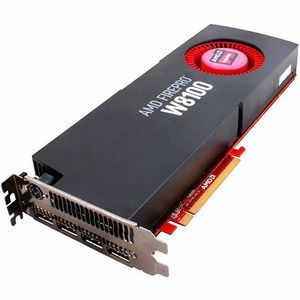 With the AMD FirePro™ W8100 workstation graphics card you can take your projects further, faster.